More than three years after its original filing, Apple has finally been granted an iPhone patent that could potentially see the touchscreen smartphone market become much more monopolized. With US patent number 7966578, Apple has been awarded control over "[a] computer-implemented method, for use in conjunction with a portable multifunction device with a touch screen display, [that] comprises displaying a portion of page content, including a frame displaying a portion of frame content and also including other content of the page, on the touch screen display". 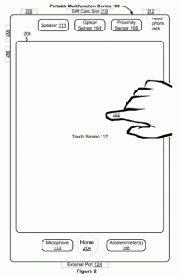 Basically, the patent gives Apple full ownership of "capacitive multitouch interface"--the touchscreen interface commonly used by smartphone manufacturers--which is the way you would navigate yourself around a touchscreen while using other multitouch gestures (for instance, scrolling around a webpage with a finger, while also being able to use a two-finger touch on an embedded frame on the page). 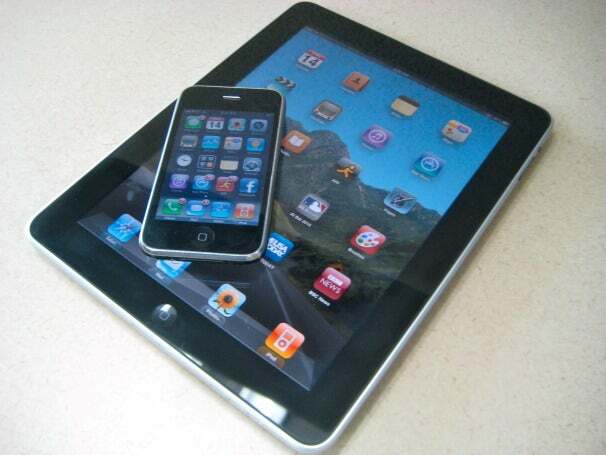 In fact, the patent is so broad, it could even affect makers of tablets and music players with particular touchscreens. According to one source speaking to PC Mag, Apple could use this to "bully" other companies such as HTC, Samsung, Motorola and Nokia by using yet more lawsuits to stamp out competition. What's more, one patent expert believes that the highly-detailed file could make it quite hard to create a good competitor to the iPhone, therefore stifling innovation. However, this doesn't necessarily mean the end of a rich and varied touchscreen cellphone market, as the above statement is more worst case scenario. It all depends how Apple uses this patent against its competitors. Should Apple decide to take a company to the courts over the patent infringement, it would have to prove that the multitouch interface was a direct copy of its own. It's pretty doubtful big companies such as HTC would go and fully copy the iPhone's touchscreen, characteristic-for-characteristic. More likely, though, Apple and other companies will deal with the new patent out-of-court by essentially licensing the technology--every company that wants to use a setup like the iPhone and iPad would pay Apple a cash sum to lease the rights. There is also a chance that, if Apple does prefer to be particularly hostile and take various companies on over infringements rather than offer licenses, the courts could rule that in the public interest the patent be revoked. If that was a possibility, it makes one wonder if there was any point in granting the patent after all this time anyway.